Draft: 2006, St. Louis Cardinals, CAth rd. August 22, 2015 RHP Chris Perez retired. 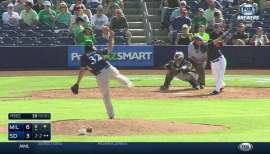 July 2, 2015 RHP Chris Perez assigned to Norfolk Tides from Norfolk Tides. July 1, 2015 Baltimore Orioles signed free agent RHP Chris Perez to a minor league contract. April 27, 2015 RHP Chris Perez elected free agency. 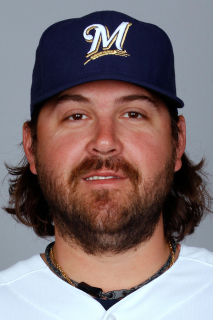 April 6, 2015 Milwaukee Brewers signed free agent RHP Chris Perez to a minor league contract. April 6, 2015 RHP Chris Perez assigned to Colorado Springs Sky Sox. 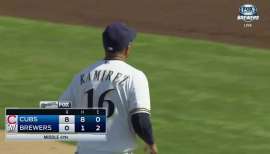 March 29, 2015 Milwaukee Brewers released RHP Chris Perez. February 5, 2015 Milwaukee Brewers signed free agent RHP Chris Perez to a minor league contract and invited him to spring training. February 5, 2015 RHP Chris Perez assigned to Colorado Springs Sky Sox. October 30, 2014 RHP Chris Perez elected free agency. October 13, 2014 Los Angeles Dodgers activated RHP Chris Perez. October 3, 2014 Los Angeles Dodgers reassigned RHP Chris Perez to the minor leagues. September 1, 2014 Los Angeles Dodgers activated RHP Chris Perez from the 15-day disabled list. August 18, 2014 Los Angeles Dodgers sent RHP Chris Perez on a rehab assignment to Rancho Cucamonga Quakes. 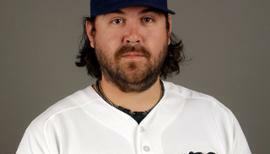 December 24, 2013 Los Angeles Dodgers signed free agent RHP Chris Perez. October 31, 2013 Cleveland Indians released RHP Chris Perez. June 27, 2013 Cleveland Indians activated RHP Chris Perez from the 15-day disabled list. June 25, 2013 Cleveland Indians sent RHP Chris Perez on a rehab assignment to Mahoning Valley Scrappers. June 18, 2013 Cleveland Indians sent RHP Chris Perez on a rehab assignment to Akron Aeros. June 16, 2013 Cleveland Indians sent RHP Chris Perez on a rehab assignment to Lake County Captains. May 27, 2013 Cleveland Indians placed RHP Chris Perez on the 15-day disabled list. Right shoulder soreness. 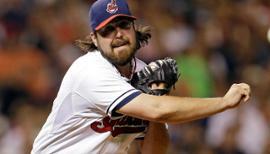 July 3, 2011 Cleveland Indians activated RHP Chris Perez from the bereavement list. June 30, 2011 Cleveland Indians placed RHP Chris Perez on the bereavement list. June 29, 2009 Cleveland Indians activated RHP Chris Perez. June 28, 2009 St. Louis Cardinals traded Chris Perez to Cleveland Indians. April 15, 2009 St. Louis Cardinals recalled Chris Perez from Memphis Redbirds.